This is an archive page for Writing from the Peak. Well, it is now September. 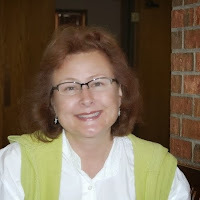 It is with a bit of trepidation I take over the reigns here as Managing Editor of Pikes Peak Writers Blog. Donnell Bell has been outstanding at ensuring you see timely posts regarding the craft and business of writing and sharing the successes of you, our members. Donnell also, I think, knew everyone. But my worry is fleeting. This blog features the input and submissions of more than a few talented individuals. I stand in good company. I'm fortunate to work with a team of talented, dedicated professionals. I look forward to working with this capable group of Pikes Peak Writers members. Here you will continue to meet members and celebrate in their successes. You’ll see announcements, craft and business advice, relevant pieces, and updates from our President, Bowen Gillings. And of course, you will also have the opportunity to be a part of our blog. Pikes Peak Writers is here to serve our members. If you’ve got ideas for our blog, or a subject you’d like to see or write about, please share your thoughts. We’re currently accepting individual submissions as well as series ideas. I can be reached at editor@pikespeakwriters.com. And remember, becoming a member is easy. Just head over to https://www.pikespeakwriters.com/about/join-pikes-peak-writers/ and follow the instructions. A little bit about me - My published works are almost entirely nonfiction - textbook credits, studies for the federal government, research papers, technical writing, and a few random poems. I've been compelled to write stories, poems, and song lyrics since I could hold a crayon, and I've recently made the leap from leisurely to serious fiction writing. I've blogged, designed websites and done a bit of development work for many years, primarily as a volunteer for non-profit groups. Since I’ve benefited from reading the PPW Blog for timely relevant posts, I'm thrilled to be at the helm. PPW Blog and website will be undergoing some changes in the next few weeks. We are working to complete the process as seamlessly as possible. Still, you may see differences in appearance and format, some of which could be temporary. Ultimately, the changes we’re making will improve functionality and virtual visibility of Pikes Peak Writers. Gabrielle Brown, Managing Editor of Pikes Peak Writers Blog, is an engineer by trade and a writer by passion. Her published works included government studies, textbook credits, and NIOSH and OSHA reports. Gabrielle currently writes humorous short stories, poetry, and literary fiction. Gabrielle has extensive experience in web design, management, and maintenance.